I discovered that Forbes field is home to the American Flight Museum, Inc. 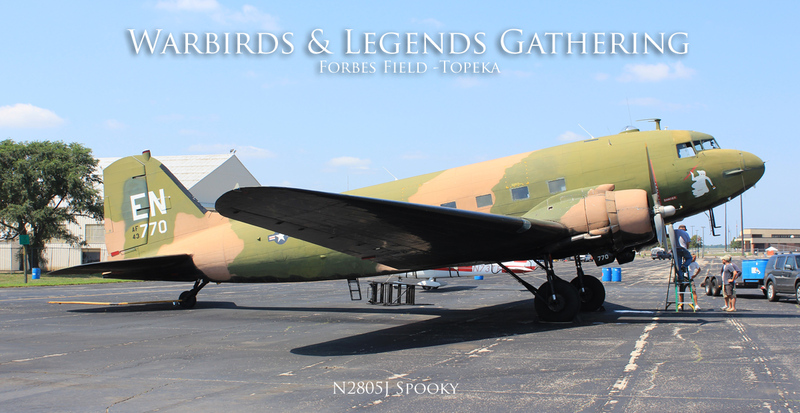 They are a none-profit flying air museum that owns an airworthy Douglas AC-47 'Spooky' Gunship (N2805J) restored in Vietnam-era markings of Sgt. John L. Levitow's aircraft. 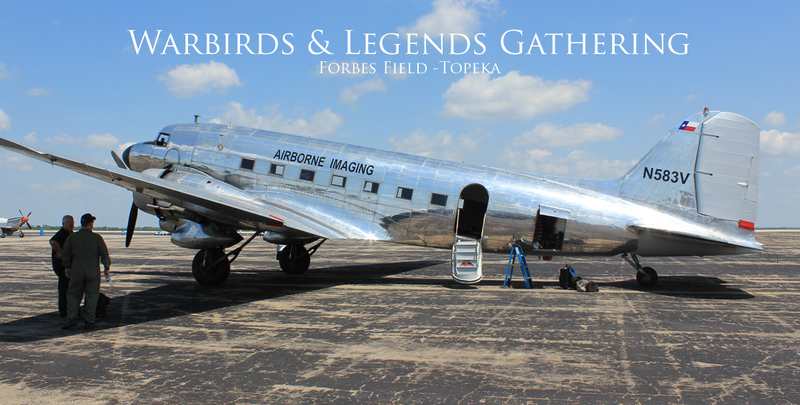 This a/c was built by Douglas as a C-47B-1-DL model and delivered to the USAF back in August 1944. It is being flown by Captain Brooks Pettit and Robert Rice. Sharing the old rusty hanger is Doug Goss and Richard Cronn Grumman C-1A Trader 'Miss Belle' N189G (buNo 146044), which had just completed after a 10 years full restoration. Miss Belle is a Vietnam veteran (1971-72) serving on the USS Independence and at Yankee Station Denang. She was retired in September 1988 after 30 years of active Navy service. 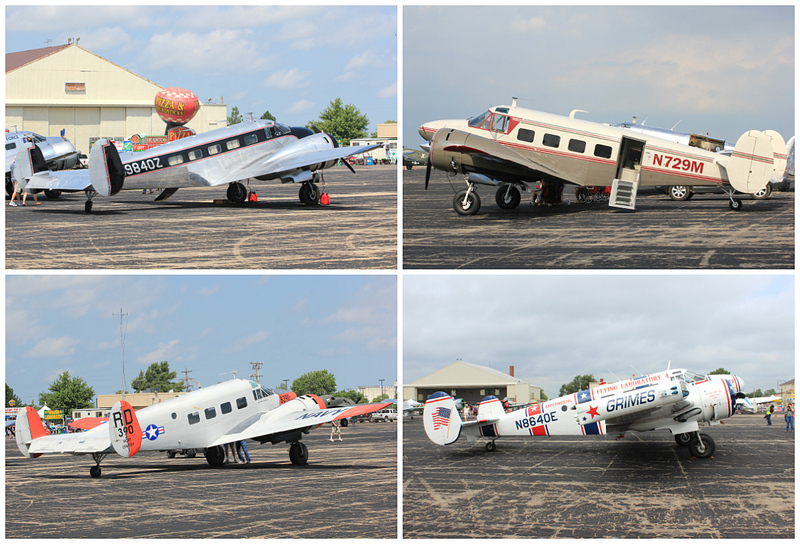 Belonging to Trader Air, Miss Belle made her first post restoration flight a day before the show. We arrived at Forbes field under perfect sunny skies and introduced ourselves to Brooks Pettit. We where the first photographers to arrive at the show! 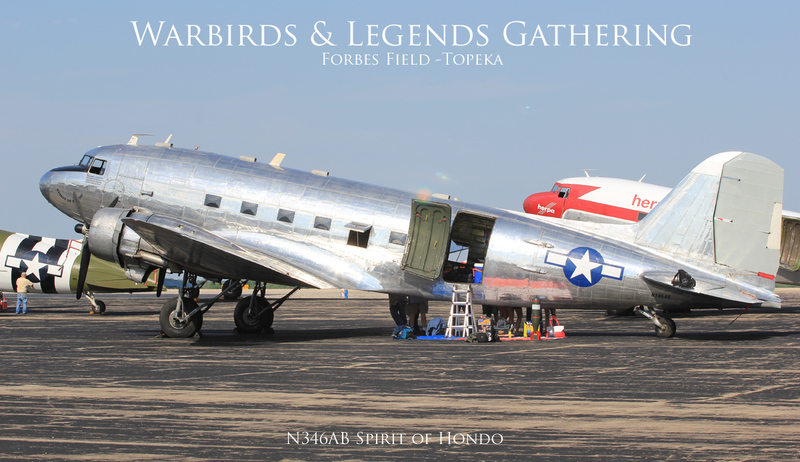 The Gathering of Warbirds and Legends theme is a reunion of the people and aircraft of the 1930's and 40's, as well as the current owners and pilots that operate these same actual aircraft today, and those citizens that appreciate this period in American History around the time of World War II. 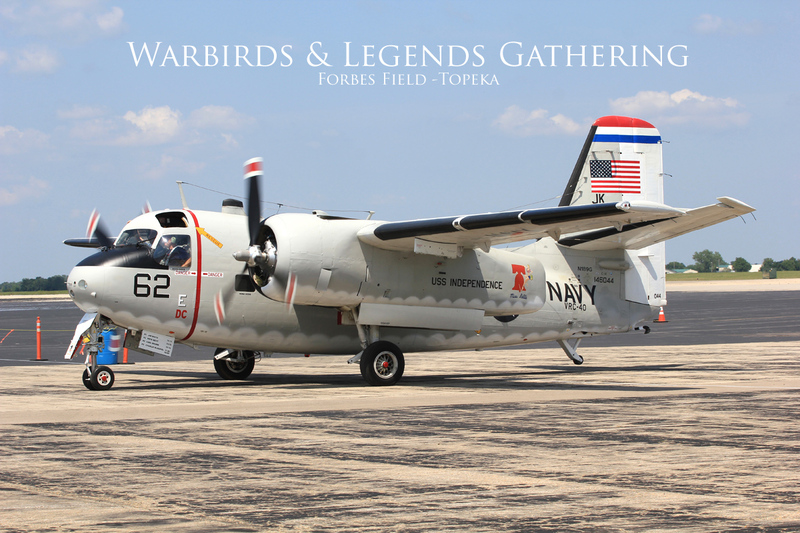 This Warbirds Airshow was a rare opportunity to see these aircraft fly, and hear what they sound like. No aircraft flew inverted or performed aerobatics. No aircraft flew closer than 1,000 feet from any person or spectator. The show did not incorporate any fast jets, wing walkers, or dangerous low level stunts and the max speed was kept under 200knots. 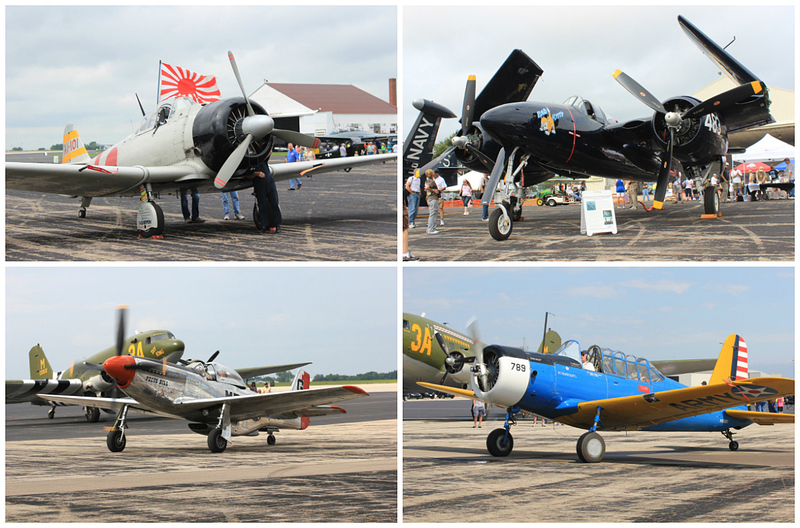 The WLG organizers Dan Gryder, Brooks Pettit, Scott Glover and Robert Rice, invented this new concept of, 'An airshow that's not an airshow", which would include normal a/c operations. 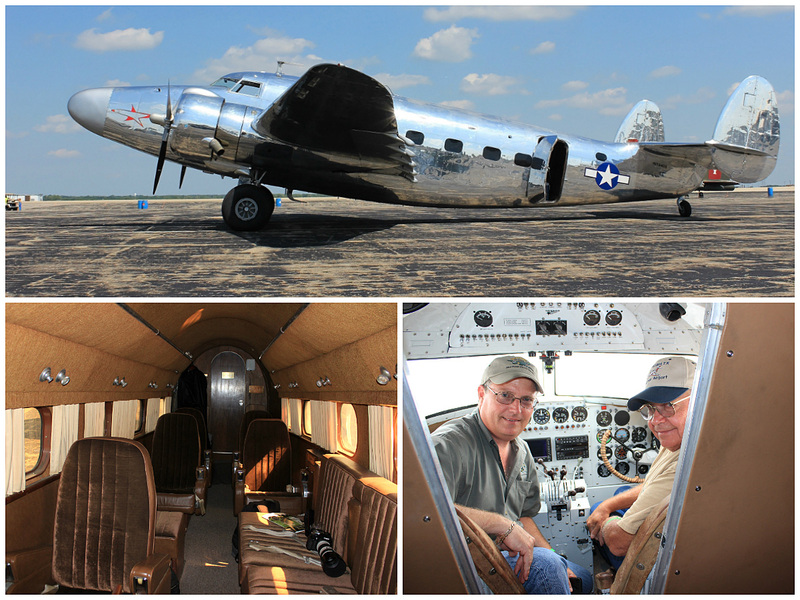 This was the first time I met up with Dan Gryder; he is a Delta airline pilot and flies his own DC-3 N143D. He also runs a DC-3 pilot training school out off Griffin Georgia. 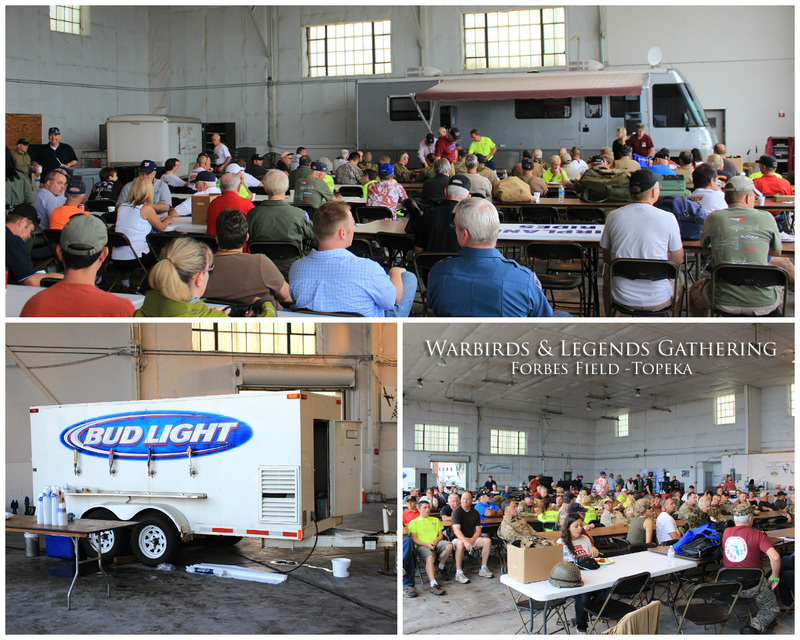 Each morning he held a one hour briefing for all the pilots, crews, Forbes Field airport authority, ATC and FAA. After the briefing he ended with his famous words…gentlemen: this is airshow that's not an airshow! 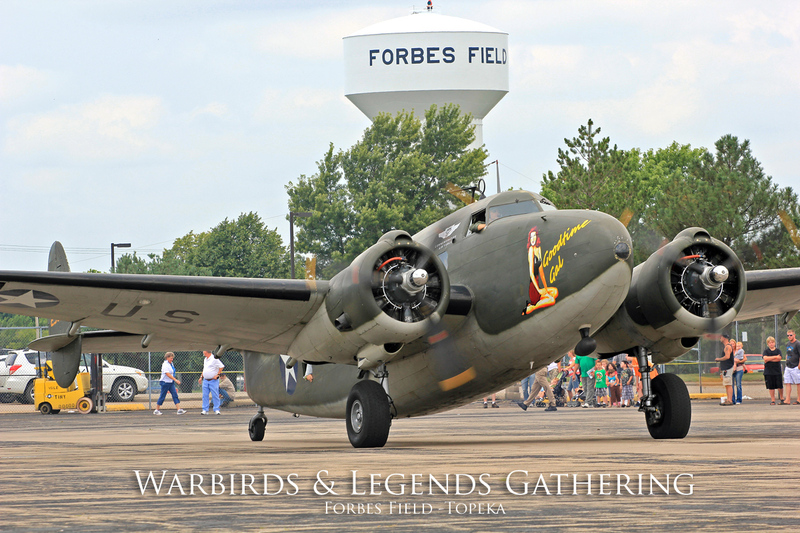 This event was scheduled during the same period as the Airventure at Oshkosh to allow owners to literally drop-in from the event in Wisconsin. They would be able to have the option off attending both shows in one week. 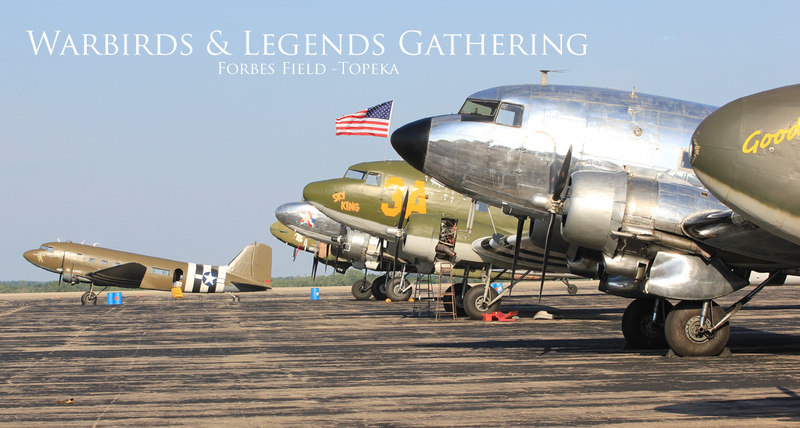 Why Topeka, It's obviously centrally located in the US, plus Forbes Field is an old military base with two long runways, and lots of unused ramp space. 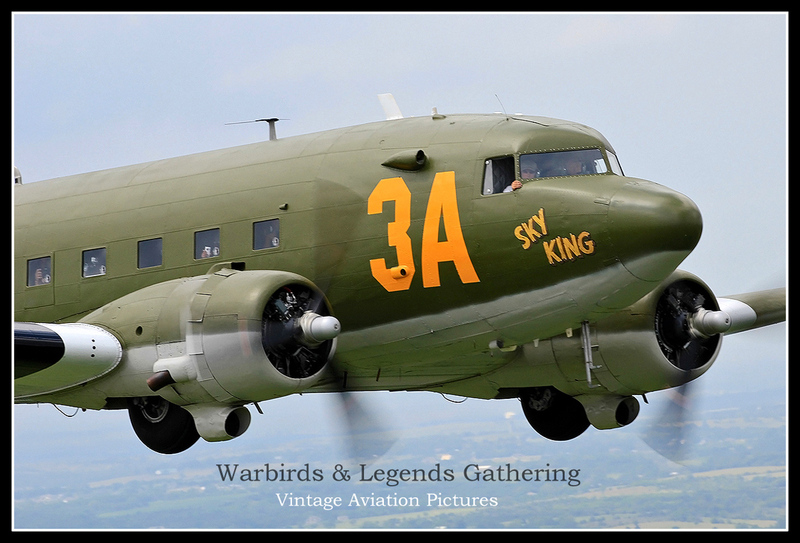 Highlight of the event was the planned three-ship C-47 mass parachute jump – using WWII parachuting equipment – which would take place over the weekend. 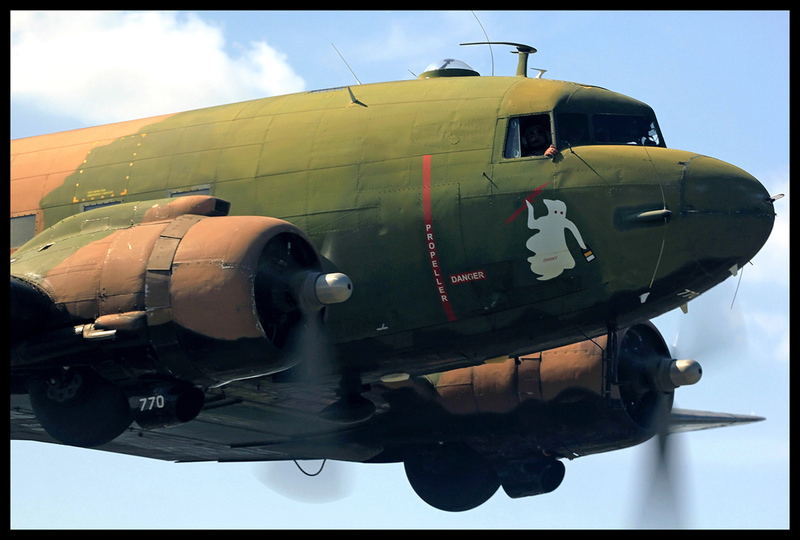 On the practice day on Friday, one C-47 went unserviceable, but the two-ship drop went to plan and on the Saturday all three C-47s where airborne, making this the largest drop of WWII paratrooper equipped personnel since the D-Day landings. To honor the WW2 veterans, they were offered free rides onboard a P-51 Mustang, PV2 Harpoon, T-6 Texan and C-47 aircraft. Ultimate only nine DC-3s showed up. 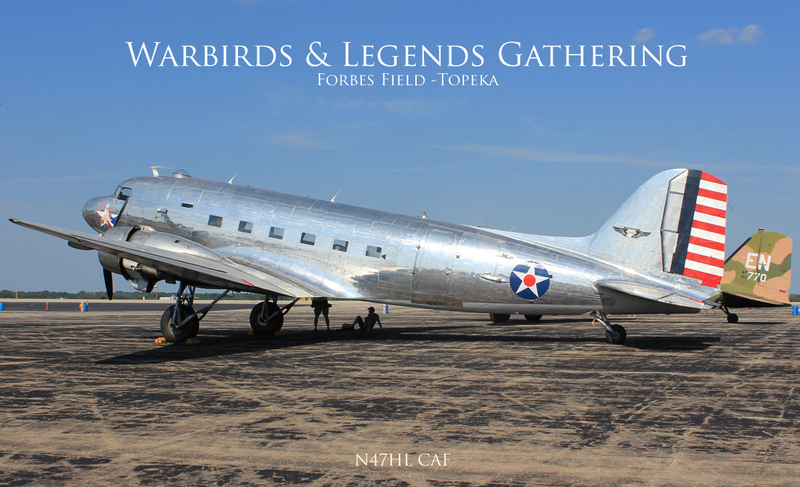 The Combat air museum had also a C-47 on display. 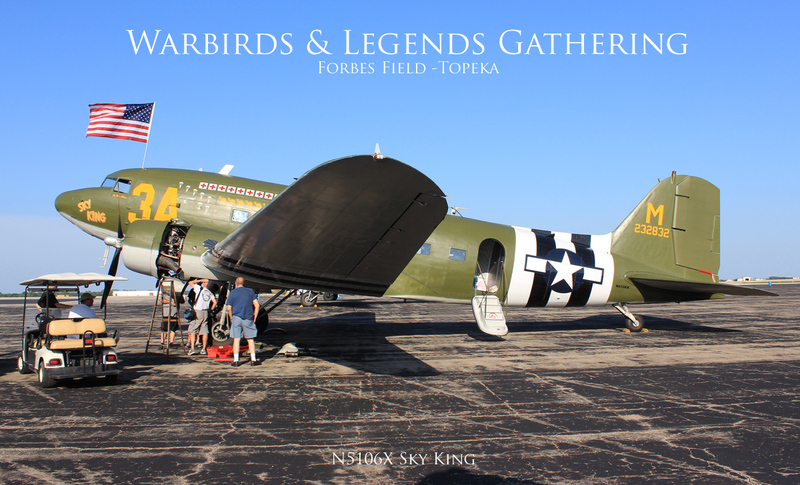 During the show dates the Kansas City/Topeka area was affected by unusual summer storms and I think that caused the cancellations of some of the DC-3s. 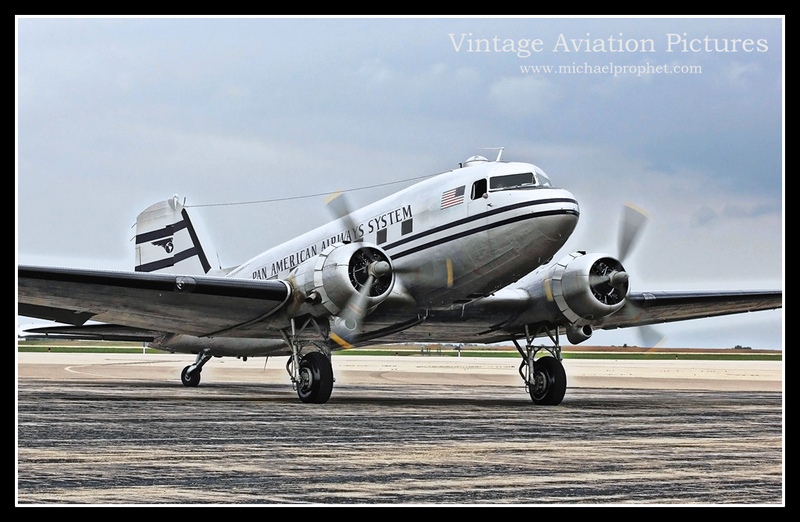 Another highlight was the arrival of the Historic Flight Foundation Panam DC-3 N877MG. It made it to the show despite the weather. 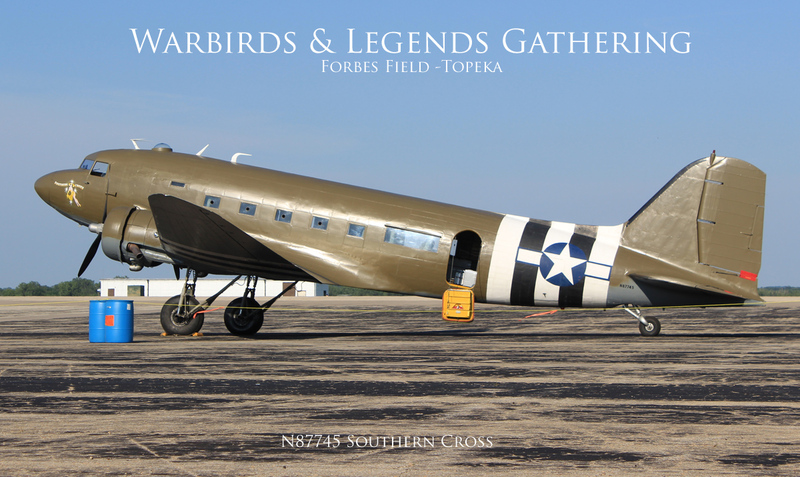 Built by Douglas as a C-47B-1-DL model and delivered in July 1944. I don't believe it went to war. Johnson & Johnson operated it for many years. Several of the original Johnson & Johnson cards and stickers could be seen inside the cabin. It has been fully restored to the Johnson &amo; Johnson executive configuration with lavish seats, window linings/curtains, and aft toilet and galley. On board the American Flight Museum Inc 1944 vintage Douglas C-47B-1-DL N2805J (20835) This ship was delivered back in August 1944 to the US Army Air Force with tail-number 43-16369. After 1946 she was converted to a C-47D and was placed with SAC at Wendover AFB. Her civil career started in 1971 with the Department of Agriculture at Mission (Texas) and later with Dodson International Air. 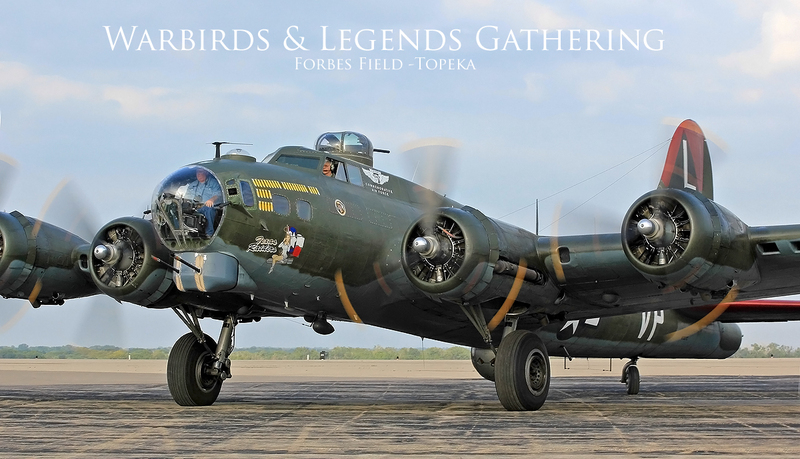 Currently she is painted as an AC-47 Gunship 'Spooky 71' and we were so lucky to be onboard, at the Warbirds & Legends Event at Topeka KS...piloted by Brooks Pettit. We are on board Dan Gryder Herpa Wings Douglas DC-3A-227 N143D (2054) delivered in 1938 to Swissair: Originally built at the Santa Monica factory and then flown to New York. Here the wings were removed and she was shipped to Fokker facility in Holland for delivery to Swiss Air Lines as HB-IRO (October 1938). 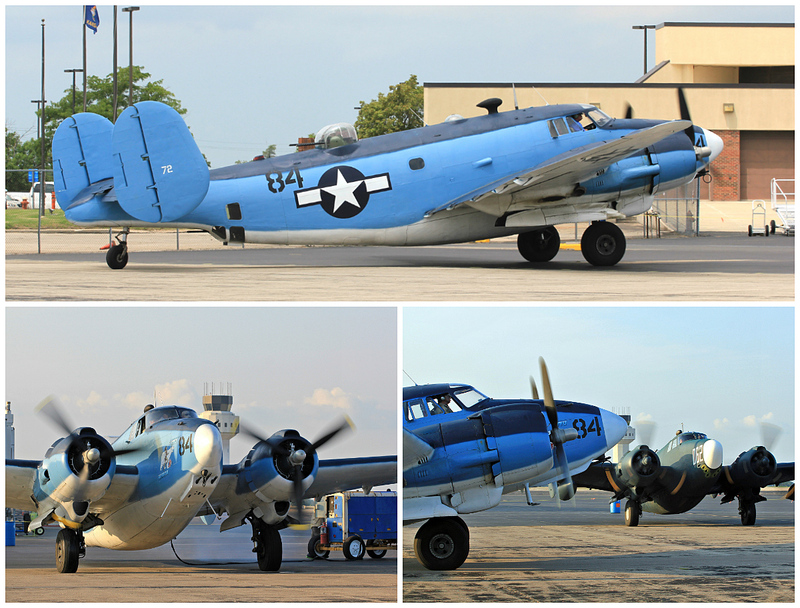 After World War 2 she returned to the United States and changed to N2817D with Air Leasing Inc out of Forth-Worth Texas. After a string of corporate owners, she was purchased by Ozark Airlines and re-registered it as N143D (1962). After a luxurious life she entered a new phase as cargo freighter and ended up with Academy Airlines as "Miss Ali Gater" from Griffen, Georgia. Dan Gryder bought her in 2001 and placed her in his new company called Gryder Networks LLC. At the time she was called Darla Dee. 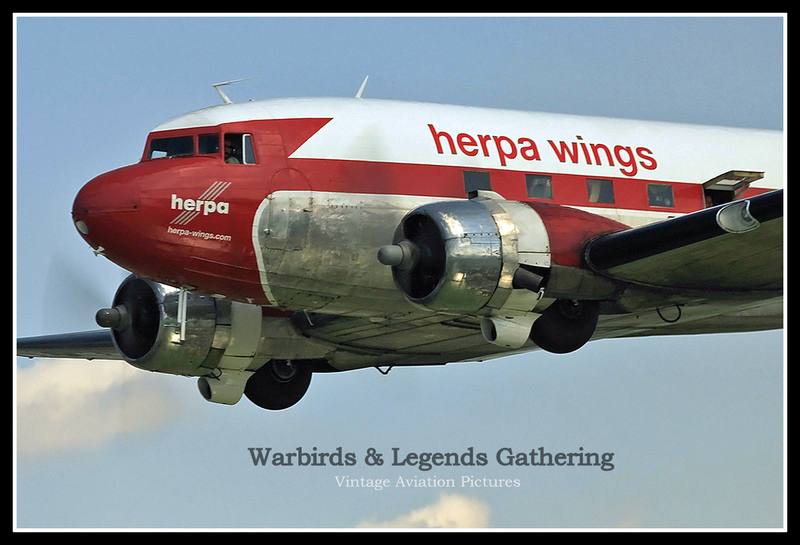 In November 2005 Herpa Models took up sponsorship of vintage aircraft. Piloted by Dan Gryder and James Lewis with cabin F/A Lizzy Albary. We are on board Scott Glover 1943 remarkable C-47-DL N5106X (9058) delivered to the USAAF with tail-number: 42-32832 and flew with the 53rd Troop Carrier Squadron, successfully flying para-dropping mission on June 6th 1944, during the D-Day invasion. This a/c is a WW-2 Combat veteran and has taken part in the Sicily, Market Garden (Holland) and Varsity (Germany) missions. 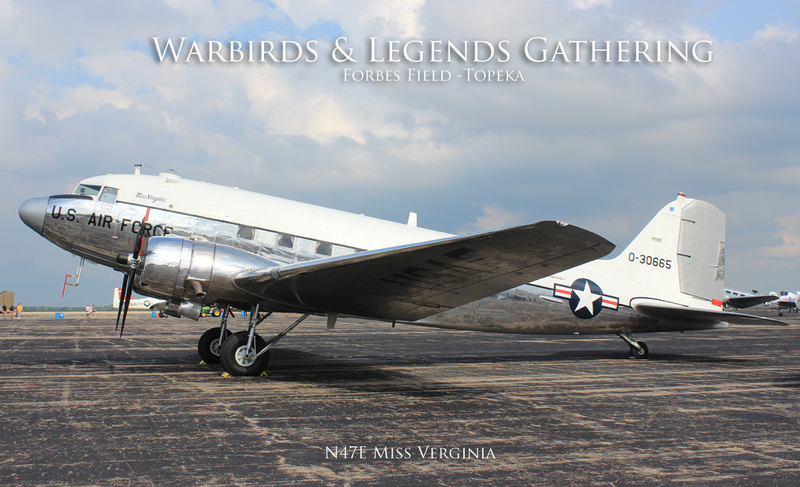 After the war she returned to the US was re-registered as NC75412 and converted to a DC-3C by Executive Transport Corporation. It flew with General Motors Inc out of Detroit Michigan with tail number N5106. In May of 1967 she was again re-registered to N5106X and was donated to the Southern Illinois University at Carbondale, IL. During this time it was converted to a 24-passenger configuration. It was sold again to Harry Oliver III in July 1985 and he re-sold it to Bygon Aviation. Eventually Scott Glover bought the airplane in August 4, 2000. 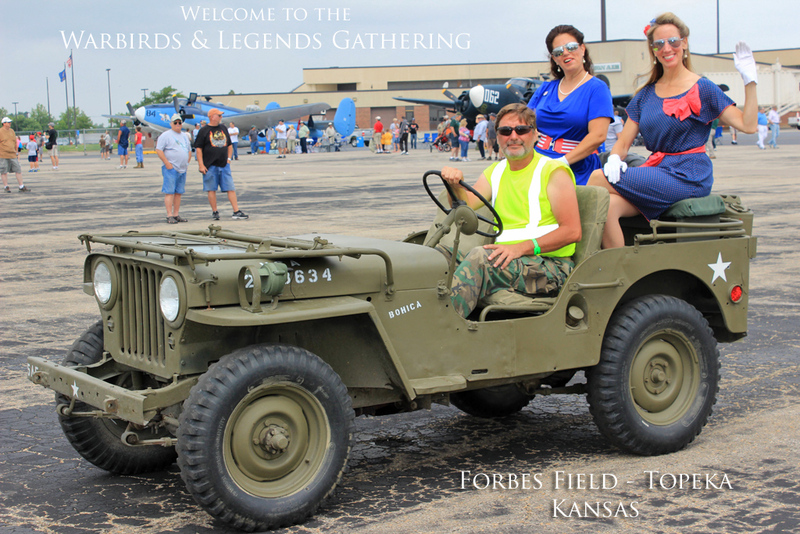 She was piloted by Scott Glover and crew at the Warbirds & Legends Gathering at Topeka KS. 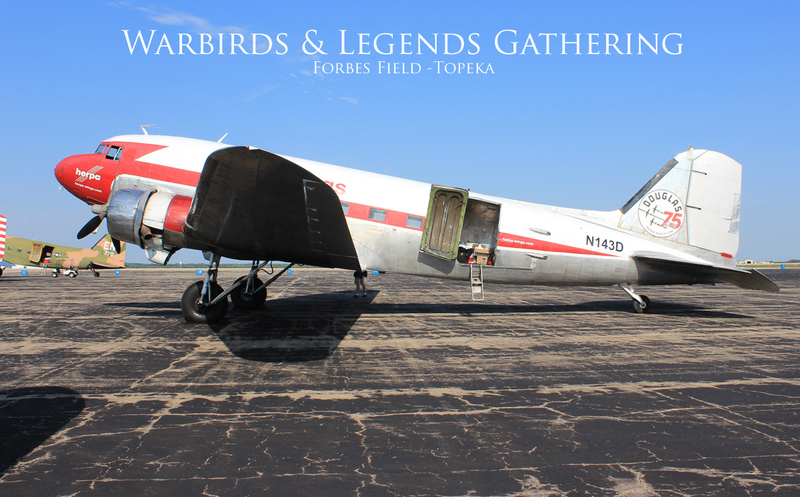 We are on-board the immaculate Lockheed C-60A Lodestar N1940S (c/n 18-2509) delivered to Canadian Pacific Airlines in 1943. This a/c is part of the Scott Glover fleet and features a VIP interior. 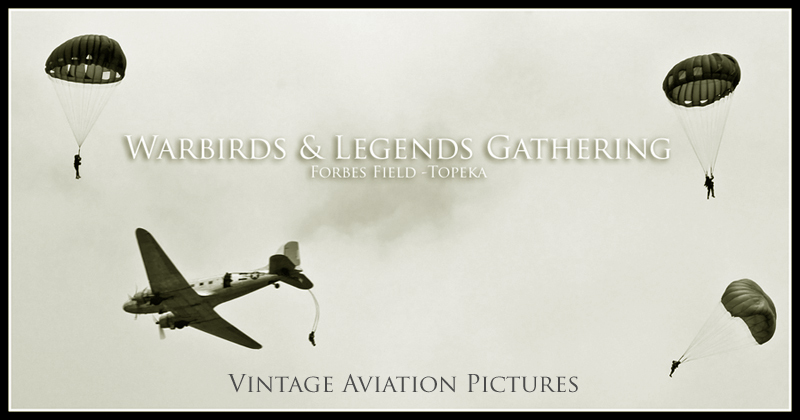 At the Warbirds & Legends Gathering at Topeka KS: piloted by Scott Glover and crew air-to-air with a PV-2 above the field. I would like to thank Dan Gryder, Brooks Pettit, and Scott Glover for the incredible air-to-air flights and aviation photographer Paul Filmer and my wingman Paul van der Berg.